Trim Fuel Protein Shakes are gluten-free, low-carb whey protein shake powders that come in different flavors. They are made with high quality whey protein isolate that's processed at a low temperature so it's easier to digest and absorbs better into the body. The protein powder is also fortified with amino acids, antioxidants, vitamins and minerals. One serving (scoop) of Trim Fuel has 24 grams of protein and less than 2 carbs. 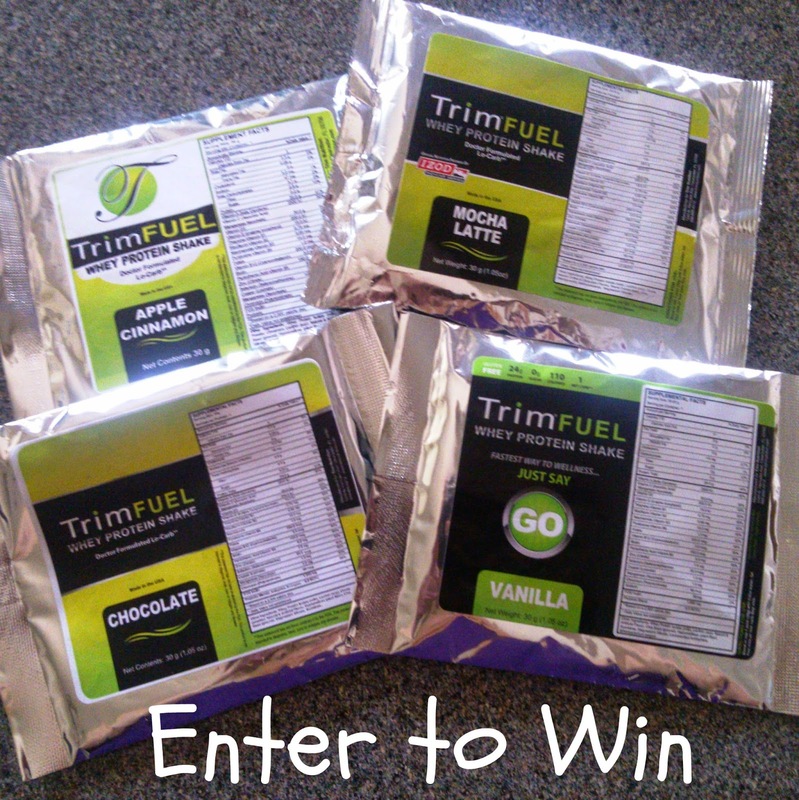 I received 4 single serving packs of Trim Fuel to try in each of the flavors: Chocolate, Vanilla, Mocha Latte, and Apple Cinnamon. My favorite - surprisingly - was Apple Cinnamon! I mixed it with almond milk and it was really tasty on a crisp Autumn day. My second favorite flavor was Chocolate; It tasted really good and smooth. Sometimes the taste of protein powder isn't all that appealing, but I genuinely liked the Trim Fuel flavors. The powder also mixed really well with almond milk or water in a blender bottle - no chunks or grainy texture. It was just a smooth, good-tasting shake. Plus, you can win a set of single serving packs to try for yourself! The apple cinnamon looks so good.